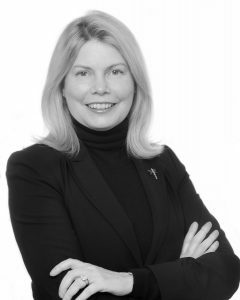 NEW YORK – On behalf of Her Majesty Queen Elizabeth II, Antony Phillipson, British Consul General to New York and Her Majesty’s Trade Commissioner for North America, is pleased to announce that Ms. Wendy Mendenhall, former Global Executive in Charge and Managing Director of BritishAmerican Business, has been recognised by the UK Honours System. Ms. Mendenhall has been made an honorary Member of the Most Excellent Order of the British Empire (MBE) in recognition for her services to transatlantic business relations. During Ms. Mendenhall’s tenure of almost 18 years, she held various leadership roles at BritishAmerican Business, managing all aspects of operations, business development, strategic partnerships, membership, marketing and communications and fundraising in addition to advising B2B and B2C Fortune-500 corporations and start-ups on strategic marketing, business intelligence, and regulatory advisory services. BritishAmerican Business assists some 500 companies a year looking to conduct transatlantic business between the US and UK. Ms. Mendenhall currently serves as President of Grandview Advisors, Inc. and is a consultant for numerous foundations, non-profit entities and small businesses. A native of Lancaster, Pennsylvania, she resides in Greenwich, Connecticut. The UK honours system recognises exceptional achievement and service to the nation, and includes non-British nationals who receive “honorary” awards for their important contribution to British interests. All British honours are awarded on merit, and honorary awards are conferred by HM The Queen on the advice of The Foreign and Commonwealth Secretary. Ms. Mendenhall may forthwith use “MBE” after her name should she wish to do so.